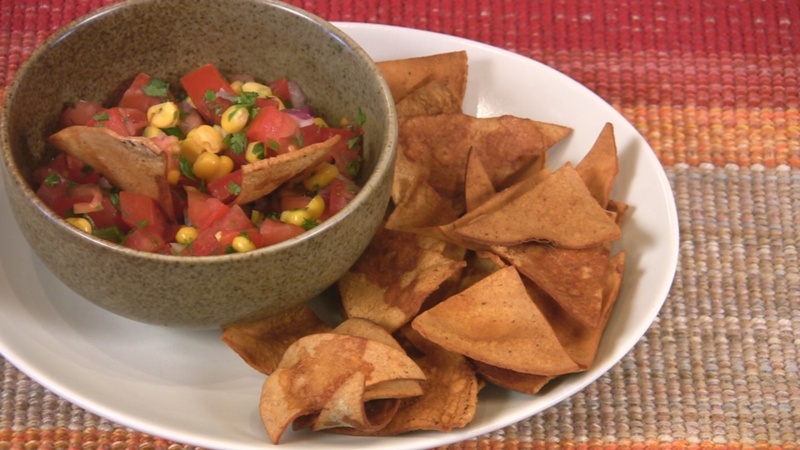 Baked corn chips are easier to make at home than you might think. Double or triple this recipe if you're having a party! Mix the tamari, spices and oil, if using. Take one tortilla and put it on a cutting board. Brush the tamari mixture on top with a pastry brush. Place another tortilla on top and brush. Repeat until there are six tortillas in a stack. With a sharp knife, cut into 8 wedges. Spread in one layer on a cookie sheet. Bake for 8-12 minutes. Watch carefully so that they don't burn. Remove immediately from the pan. Keep left overs in a sealed bag or container for 2-3 days.